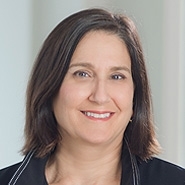 In the State of New York, the process of removing a trustee with diminished capacity presents unique challenges. The removal statutes under the Surrogate's Court Procedure Act do not expressly refer to incapacity, whether physical or mental, as a basis for removing a trustee, and the definitions of incapacity and incompetence under the general provisions of the SCPA do not clearly apply to fiduciary removal. Rather, in the case of a testamentary trustee, the standards for removal under the SCPA are purposefully broad, somewhat vague, and therefore may lack the protections provided under other relevant statutes, most notably, Article 81 of the New York Mental Hygiene Law. Please click the link above to read the full ethical and practical considerations of removing an incapacitated trustee.